Note that this is an independent website and all contents have been published without the permission or knowledge of Mel Gibson, Icon Productions, or Hutton Gibson. Below are the pictures of five people. One is the hero in this real life drama. The other four are the villains. Can you pick out the hero? Hutton Gibson explains why all those Jewish Leaders who bash 'The Passion' are frantically promoting Vatican II - This is a blockbuster. Vatican Council II took place from 1962 to 1965 in Vatican City, and we've included the Look Magazine article from January 1966 entitled: How the Jews Changed Catholic Thinking. Fr. James Wathen tells us where Anti-Semitism comes from - A Catholic priest explains that what the Jewish Supremists call Anti-Semitism does not come from reading the Gospels, seeing historical Passion Plays, or watching Mel Gibson's movie. You've always come out fighting at the bell. One Billion grown up children wish you well." With every civilized country in the world waiting for this movie, . 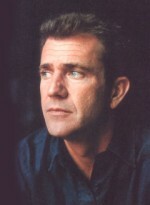 . .
One billion grown up children are literally wishing Mel Gibson well. Wishing him well, that is, for making a movie based on the Holy Gospels which will preserve Biblical Truths for generations to come. If anything happens to Mel Gibson or his family following all the hate-speech directed against him by some of the leaders on this page, then something LESS than one billion grown up children will be wishing THEM well.